*LIMITED EDITION* PRINTS now available! *NEW MOON* in SCORPIO heralds in the witching hour of magic and mystery and the depths of our soul. “Scorpio is often considered the most powerful sign in the Zodiac, and those who incarnate as Scorpios, some of the most powerful souls. “For Scorpio’s initiation is pivotal to our soul’s growth, which is to die to be reborn again. “Scorpio has three symbols because it concerns the process of transformation, and three is the number of process. “The unconscious residue from other lifetimes which eats away at us is symbolized by the scorpion. Once we begin to recognize our Shadow and can name it, the symbol shifts to an Eagle. “This is the initiation of Scorpio. To go through all the tests that life brings us and learn from our mistakes and find the meaning of what it is we are sent here to learn. “Mars is our desire nature, our ability to go after what we want, our will to achieve…In Scorpio, Mars becomes a tightly focused laser with the ability to turn within and use its willpower to achieve its goals. “This is the energy we need to face our Shadows and dance with them until they yield the golden energy within them. “The New Moon, and most especially Mercury, trine Neptune in Pisces, opening us to the Collective Unconscious and its deep stories and ancient songs. 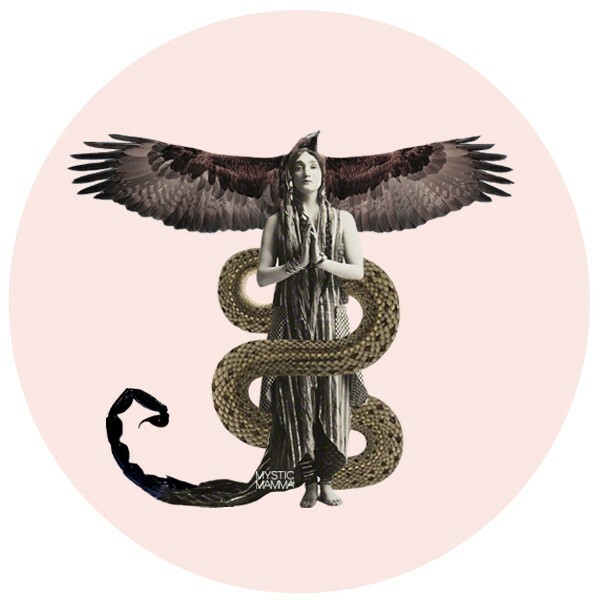 “…echo the energy of the Scorpio Eagle, the ability to see further and deeper than usual…attune yourselves to higher wisdom and find that new perspective that will give rise to a better future for yourself and for all of us. Don’t doubt yourself! “It’s time to step into personal as well as our collective Darkness with courage and a willingness to ‘take Death as your adviser’ as don Juan advised Carlos Castaneda. Copyright 2016 CATHY PAGANO . All rights reserved. “Scorpio, the fixed, power sign for water, plunges us into the cycle of death, regeneration and rebirth. “Scorpio helps us align with the Dark, to commune with the hidden mysteries within us – the unformed, the unspoken. “…there is more mystery than reality by far and that we haven’t a clue of how to explain, measure or own it. “The tantric energy that Scorpio can embody so fully teaches how to hold our power and bring it through the lower chakras and into the heart and beyond mastering the art of being fully present, surrendered and aware. “Mercury in Scorpio is willing to go deep and bring the uncomfortable and unseen to the table; it also gives us the power to speak what has gone unspoken or speak our truth with power and conviction. “The Sun/Moon/Mercury are trined to Neptune in Pisces, so we have a wide-open channel to lift our perceptions and communications to an open and accepting frequency with others. “Pluto is the modern ruler of Scorpio and Mars is the traditional ruler. They are close in the sky now. “Pluto in Capricorn is slowly (2008-2024) eliminating and transforming the shadow aspects of the patriarchy, authority, of government, corporations, financial institutions. It hasn’t been pretty. “Mars, on the other hand (also in Capricorn), is squaring (crisis) the radical duo of Eris and Uranus. Yikes! “Pluto/Mars is fully empowering the righteous rage of the feminine warrior, Eris, to bring the long festering wounds/suppressed voice of the feminine forward whether in the form of the indigenous, the enslaved, the disrespected, or the disenfranchised. “Something that is apparent in the healing work I do is how the wounding through invalidation or abuse of the second chakra, a seat of the emotions, sexuality and desire nature (Scorpio), cause the chakra to be defended and shut down and consequently render the third chakra of personal will/power impotent. “That loss of energy also manifests as the loss of the voice in the fifth chakra, because it has no support from the lower chakras and results in the inability to speak one’s truth or to be heard, to express oneself fully. Taurus, the opposite sign of Scorpio rules the throat/voice. They are linked. “We see the dynamic played out collectively at this time, too, with the exposure of so called ‘locker room’ talk and the impassioned speech by Michelle Obama embodying the righteous feminine warrior declaring this archaic rhetoric/behavior no longer acceptable. “As the emotional body of the feminine is opened, healing results and balance can be restored to the miraculously self-healing and evolving beings that we are. “As we cross this powerful threshold leading to the still point of winter (or the radiance of summer), take time to sit in the dark with candlelight and listen for the messages, signs and insights from the other worlds during this weekend of Halloween, Samhain/Hallowmas. “Throw everything into the fire that no longer serves you. Honor your ancestors and their dreams. Copyright 2016 PAT LILES . All rights reserved. “After an intense month this Moon offers some gentle repose and quiet reflection, inviting us to open ourselves to insights previously resisted. “Where compassion was lacking at the mid-month Full Moon it returns now, highlighting just what it takes to stay on track, to forge ahead when things go wrong or disappointment steals our joy. “Wherever we find ourselves at this New Moon we are reminded that self-acceptance is foundational to peace of mind. “If we listen to our self-talk and it’s harsh and bullying, critical or dismissive, this Moon insists that first we care for ourselves as we would a treasured friend. “For only then can we embrace the challenges ahead without crumbling and enjoy the triumphs without shame or denial. “We are what we are, she reminds us, and what we are is fine, no matter the flaws and failings we are sensitized to perceive. “The gentle wisdom of this Moon completes October by replacing our harsh, unyielding feelings with a warm and gentle embrace. Copyright 2016 SARAH VARCAS. All rights reserved. Feeling blessed by this. Thank you, Mystic Mamma! So beautiful and awesome! My birthday Nov. 8, Election Day this year, reminds me of my voice to be Heard! Listen to your Heart….not the minds of others! blessed be. I listen with honor and grace at your words of wisdom. Wondering why we can’t share this link? I’ve been in the deepest part of my crystalisis since last May, when I lost my home and most of my work and then subsenquently my partner. Lastly in response to all of this my health failed. Yet, sitting now on the other side of healing, knowing all I have learned and grown from, I am so deeply deeply grateful to have been given these tests to face the days forward with a new viewpoint, as for us to grow now it must be with quiet humble hearts grateful for the days we are given. Thank you dear one for bringing together the voices on your page for us to learn as a collective community. We are all children. So grateful for these words. A beautiful validation of the energies felt and experienced. let the grace of a single fallen leaf enlighten us all. the glory of Cosmic Harmony resides in the interconnectivity of all nature, plants and our own breathing vessels. put all of the elements together and we are one. The reference to the eagle is poetic but it’s not true. The eagle is not the highest flying bird. It’s not even in the top 10 list. Vultures, geese, ducks, storks, and cranes all fly higher than eagles. Just a little shout-out to some of the other amazing birds who don’t get nearly enough credit for their abilities, perhaps because they are not seen as being as majestic. this was great thank you!! This was exactly what I needed to hear. Thank you for always sharing such beautiful words and wisdom. Thank you so much for the enlightening and healing words.. Thank you for your insightful and powerful words. Feeling the love and light this morning. Blessed be and so it is. You are so loving, and loved. Thank you for you and all you share. I am anticipating my birthday 11-12 to be the best yet. I am applying This wisdom and insight to my heart, mind and soul to ensure this time to be of its fullest potential. Thank you to the writers and Mother Earth , Father Sun and my Ancestors for supporting me. I have returned to this for insight into what has been transpiring in my life these last couple of months. Incredible. Thank you. For all of it.